PINEDALE, Wyo. (Reuters) - A federal judge on Monday ordered Endangered Species Act protections restored to grizzly bears in and around Yellowstone National Park, halting plans for the first licensed trophy hunts of the region's grizzlies in more than 40 years. U.S. District Judge Dana Christensen in Missoula, Montana, sided with environmentalists and native American groups by overruling the U.S. 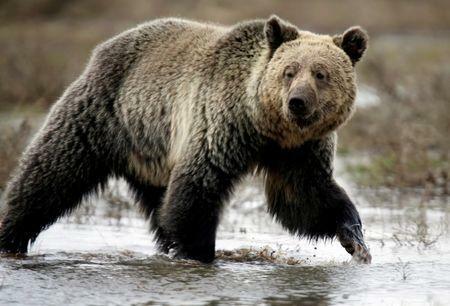 Fish and Wildlife Service decision to strip the grizzlies of their status as a threatened species, the court order said.